Lincolnshire is known around the world as Bomber County, due to the intense allied activity of WWll, but South Kesteven has a unique aviation heritage all its own. Allies from across the world have good reason to return, but so does anyone intrigued by the story of what happened here. Britain’s huge D-Day offensive actually started at RAF North Witham, now Forestry Commission owned Twyford Wood near Colsterworth and still open to the public. Today the airfield still retains its vast concrete runways with echoes of June 5 1944 when C-47 Dakota aircraft took off carrying elite paratroopers to Normandy to place radio location beacons in drop zones ahead of the main airborne assault by allied forces. Walk the concrete runways and soak up history. St Vincent’s Hall in Grantham, now a private home, was the WWll HQ of No 5 Group, RAF Bomber Command. 617 Dambusters’ Squadron raid on the Ruhr dams was co-ordinated from there in May 1943 in the presence of bouncing bomb inventor Barnes Wallace. It’s a story told in the D-Day exhibition at Grantham Museum. Rarely can a village church have become such a shrine to airborne forces than the beautiful St Vincent’s Church in Caythorpe, 5 miles north of Grantham, a living reminder of the Arnhem conflict of September 1944. Historic connections are reflected by memorials, a thought-provoking Arnhem Aisle and two beautiful stained glass windows. A must-see is the 216 Parachute Signals Squadron’s last battle order from Oosterbeck Church. RAF Saltby, south west of Grantham, was just one of the many U.S.A. Troop Carrier Command airfields in 1944. It’s open to visitors, thanks to current occupants the Buckminster Gliding Club, with history boards and commemorative plaques, and a Saltby Memorial to allied forces, notably men of the Polish forces. In June 2019 one of the greatest aviation milestones in history will be re-enacted when iconic C-47 Dakotas are flying to the UK from all over the world in a Daks Over Normandy re-enactment. Find them at the Imperial War Museum, Duxford from 2-5 June, before they fly to France to drop paratroopers over Normandy – just like 75 years ago. International Bomber Command Centre, Lincoln. www.internationalbcc.co.uk . A world class facility, dedicated to the efforts, sacrifices and commitment of the men and women of Bomber Command, from 62 different nations. Cranwell Aviation Heritage Museum near Grantham, portrays the fascinating story of RAF Cranwell from its early days as a Royal Naval Air Service base to the current day. 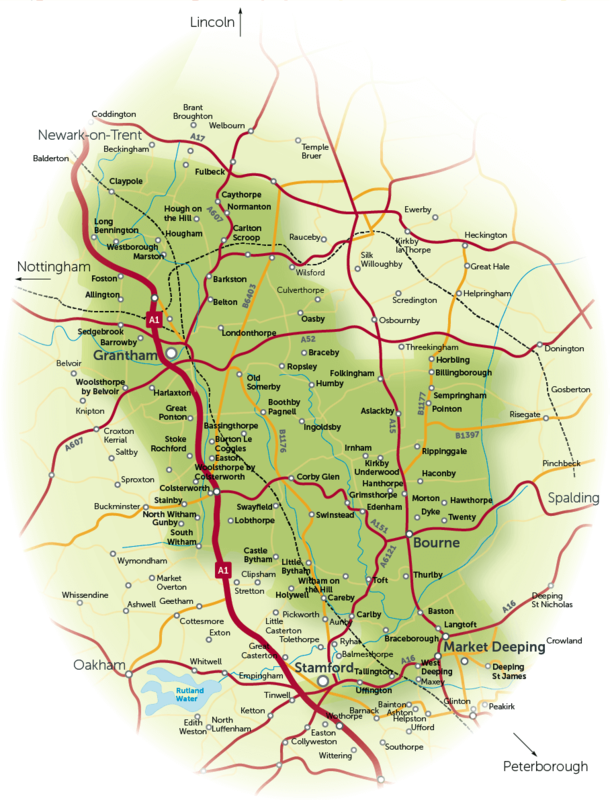 We recommend using the Grantham area as your accommodation base – a good central location for visiting the aviation heritage of the region. Walk the still visible runways at Twyford Woods, wartime location of RAF North Witham, visit Grantham Museum’s D-Day exhibition, and then discover St Vincent’s Church in Caythorpe – a shrine to the airborne forces. 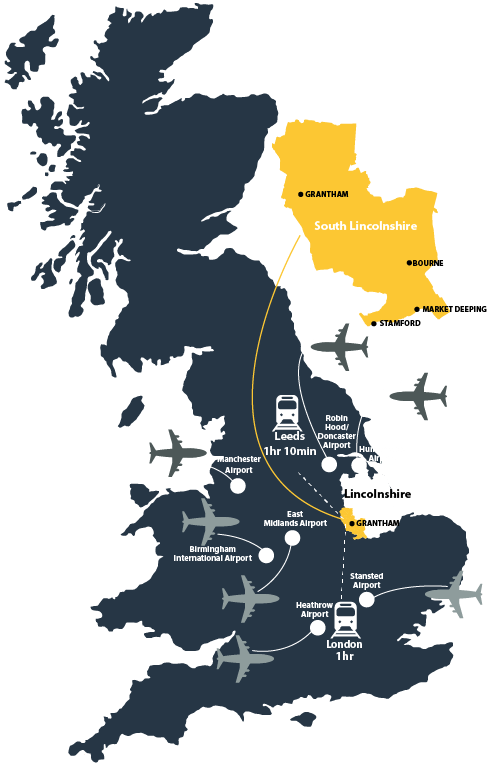 Spend a morning at Lincoln’s International Bomber Command Centre, return via Cranwell Aviation Heritage Museum then discover the airborne heritage of St Vincent’s Church in Caythorpe.